for various reasons, are able to visit them. care and the love they need from family and friends? 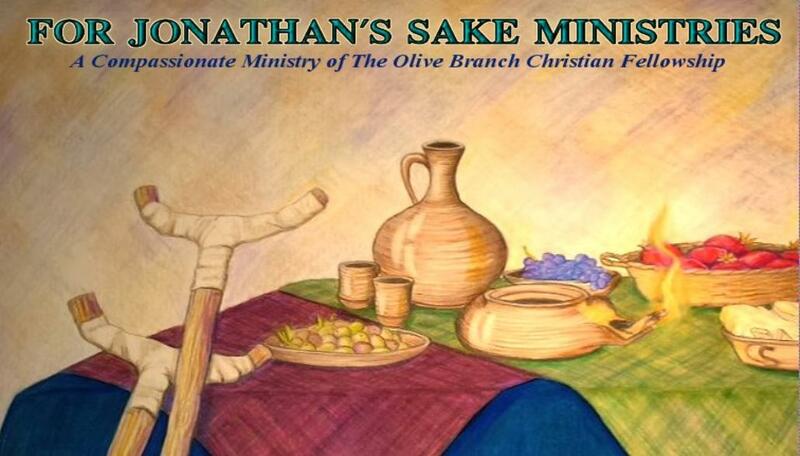 founded For Jonathan's Sake Ministries to try to fill those needs. a small sense of normalcy in their lives. We pray it has been set upon your heart to help as it has been set upon ours. you partner with us, we will provide a listing of facilities we are presently ministering to. Would you please keep these lovely ones lifted in prayer for strength and healing? aid for necessities, fun, and practical items that provide joy and motivation. pray you also will be drawn to help us infuse them with lightheartedness. How did we come about the name for this ministry? The answer to that is found in 2 Samuel chapter 4, verse 4, and 2 Samuel chapter 9.
a fundamental share of joy in their lives. We, as a compassionate group of people working together, can accomplish this mission.